Milwaukee Periodontist Dr. Ahmad Eslami is the Region’s Top Choice for Dental Implants, Laser Gum Surgery, and Periodontics. Welcome to the office of Dr. Eslami & Team Perio! Our patients trust their teeth and gums to Milwaukee periodontist Dr. Ahmad Eslami. Dr. Eslami is a compassionate, award-winning periodontal expert and mentor who specializes in implant surgery and the latest techniques in dental implants and augmentation procedures. Milwaukee periodontist Dr. Eslami and his Team are passionate about periodontal treatment and continuously work to stay ahead of the curve. Using only the latest and best dental technology available today, patients and referring dentists can feel confident in choosing Dr. Eslami for periodontal treatment. Dental implants: Say goodbye to the dentures and partials that slip, are uncomfortable, and compromise the health of your jaw bone. Milwaukee periodontist Dr. Eslami can replace your missing teeth with dental implants that look, feel, and function just like natural teeth. Unlike dentures, dental implants stimulate your jaw bone, keeping it healthy and functional. Learn more about dental implants. Sedation: Your comfort is the number one priority of Dr. Eslami & Team Perio. We understand that visiting the periodontist can be stressful for some patients. Our aim is to beautify your smile and improve your dental health with as little discomfort and anxiety as possible. Dr. Eslami & Team Perio offers sedation options which will allow you to be completely relaxed while Dr. Eslami works to give you the beautiful, healthy smile you deserve. The choice is easy. 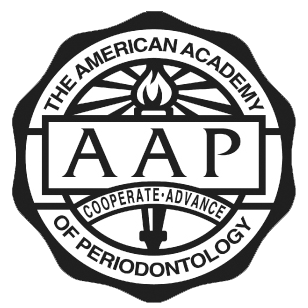 If you’re looking for a caring, compassionate, knowledgeable Milwaukee periodontist, contact Dr. Eslami & Team Perio today at (414) 312-6569.